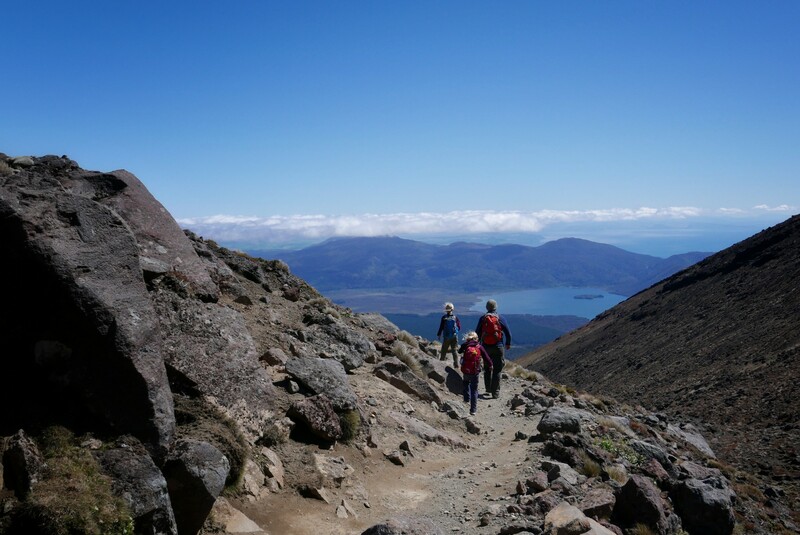 We had to get up at 4:15 a.m. to be ready for the shuttle to take us to the beginning of the Tongariro Alpine Crossing at 5:20. 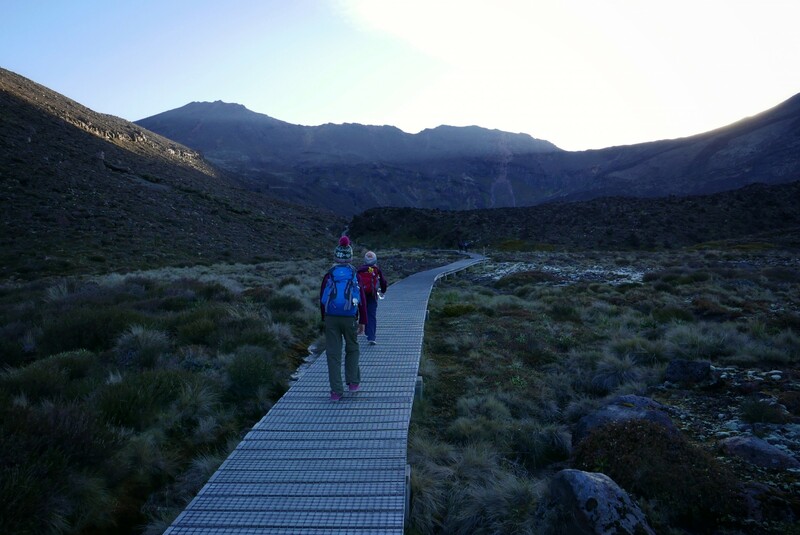 I believe Ronja was the only one who had had a good night’s sleep – Mads and I were both excited, and maybe a bit anxious to see how the girls would manage the 19.4 km mountain hike. Frida had a bad dream and ended up in our bed at some point during the night. So when the alarm clock went off, we could have done with another 4 hours. We had prepared our backpacks the night before, so we just had breakfast, got dressed in warm clothes, and went to the shuttle pick up by the reception. 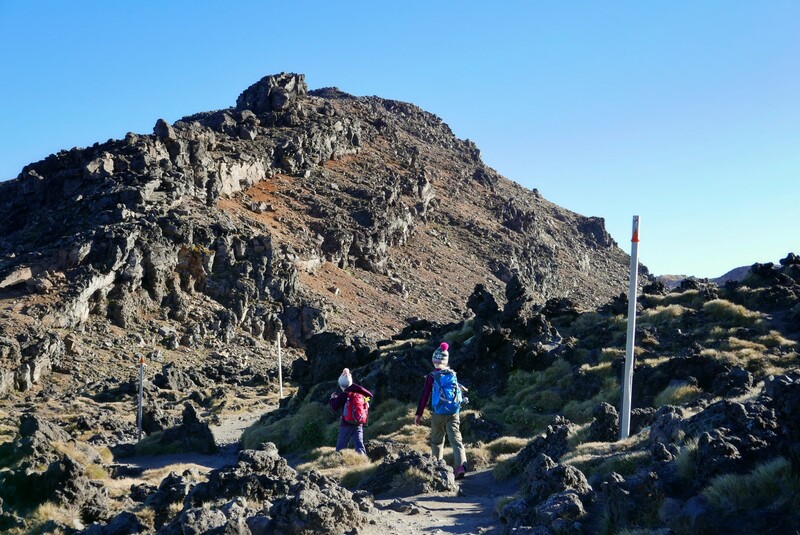 We were prepared that we might be sent back to our motorhome, because the day before, we had been told that there might be too much wind on the mountain for the kids to go up there, so we kept our fingers crossed until the last moment. Callum, the local guide from Discovery Lodge who took us to the beginning of the hike, said that he was expecting a lot – but not too much – wind, and we would not be getting rain, at least no more than a drizzle. So off we went. 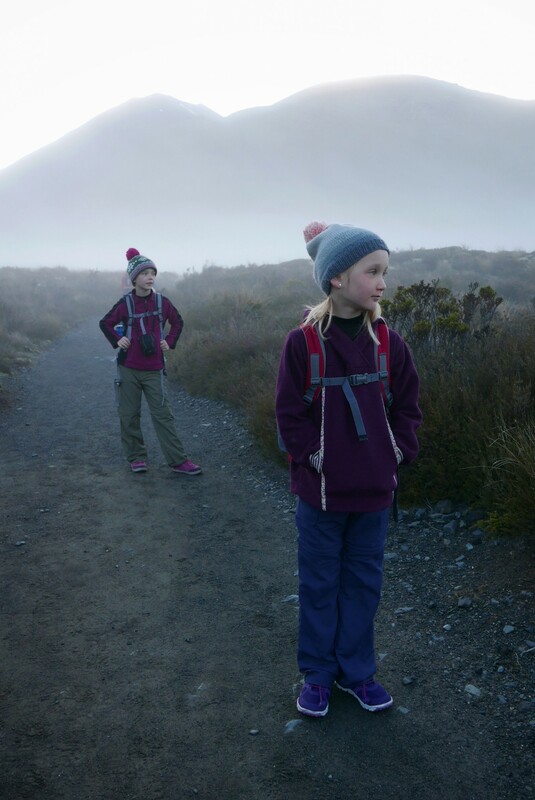 Since we were bringing food, water, and snacks as well as extra layers of clothing for 7 to 9 hours of hiking, the girls had to carry their own backpacks. Before leaving Denmark, we had bought good backpacks for all of us, knowing that we would probably be hiking quite a bit in New Zealand. This proved to be a really good investment. From Mangatepopo Car Park the track begins with a flat stretch, before it gets steeper at the Devil’s Staircase. 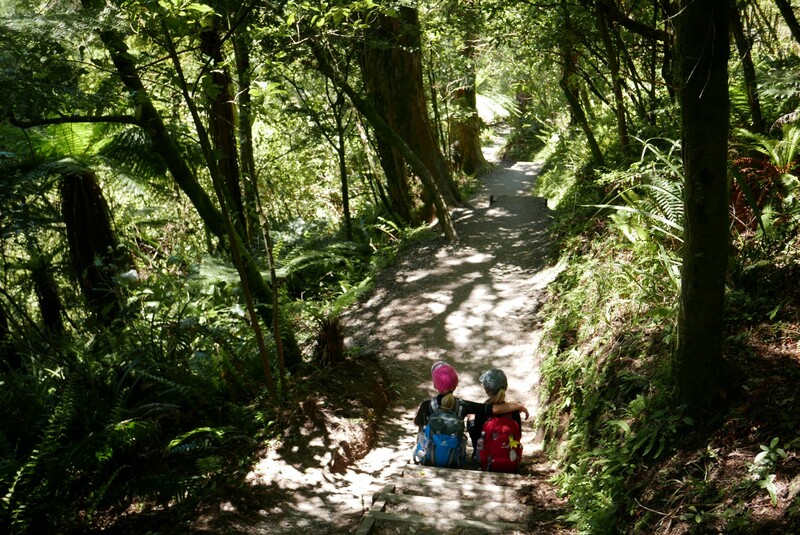 At this point, we had passed the Devil’s Staircase, which was quite a steep stretch. I think it had dawned on us, what was waiting ahead, if we hadn’t realized before. 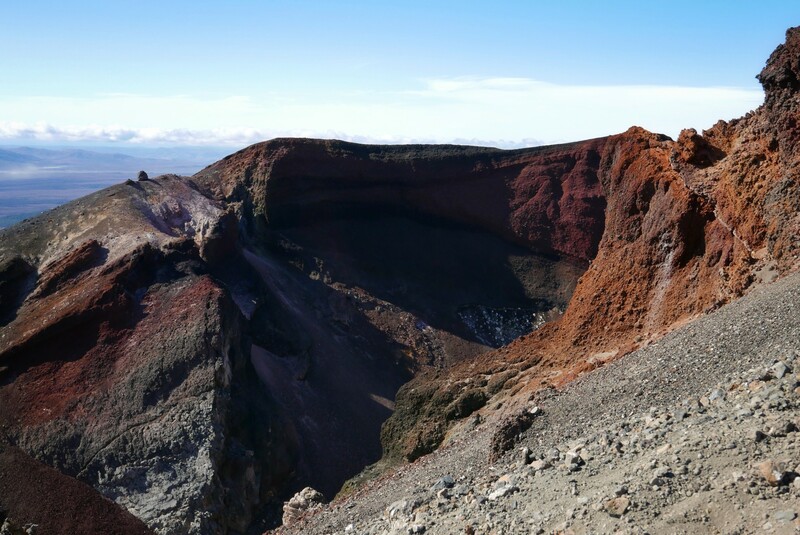 From South Crater to Red Crater it was a nice, flat stroll in the sunshine. The toughest part was waiting ahead. 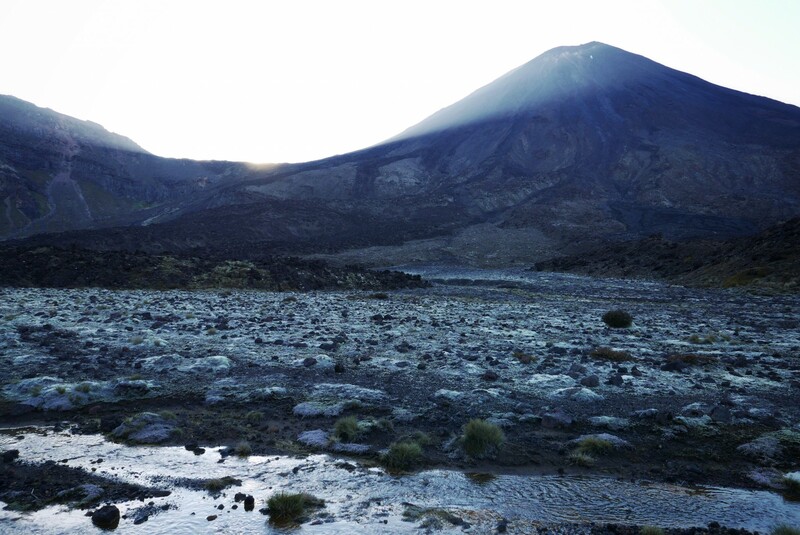 The surroundings at the Red Crater were stunning. The view in all directions left us all in awe, while Mads and I were carefully holding the girls’ hands to make sure they weren’t taken by the wind, which was quite strong up there. 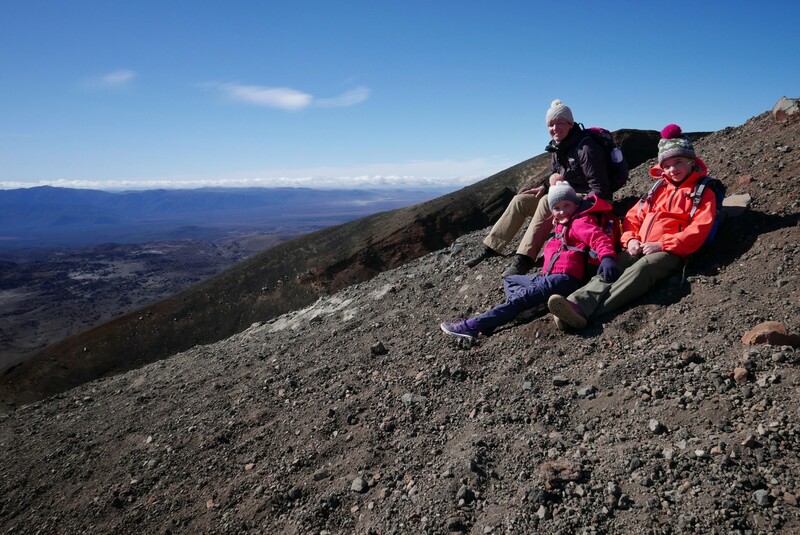 Just before descending from the Red Crater to the Emerald Lakes, we sat down to enjoy the view. Here you get an impression of how steep a descend we were about to begin. 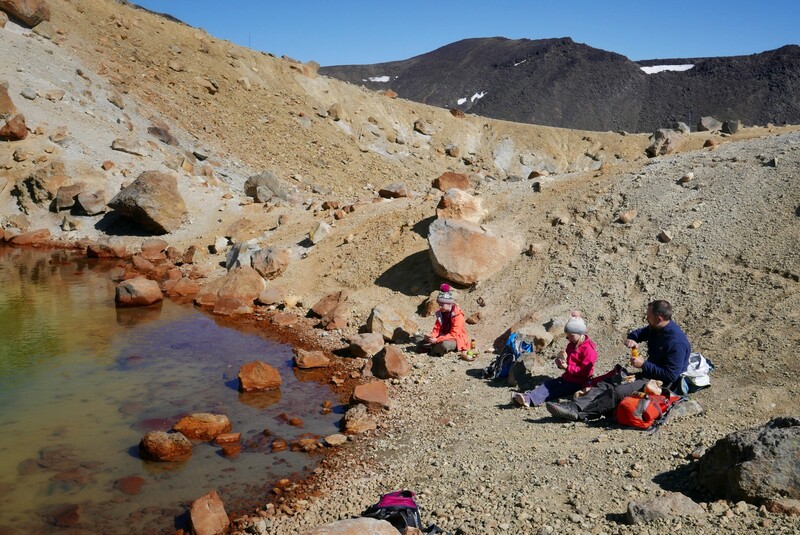 We had lunch by the shore of the Emerald Lakes before we moved on. 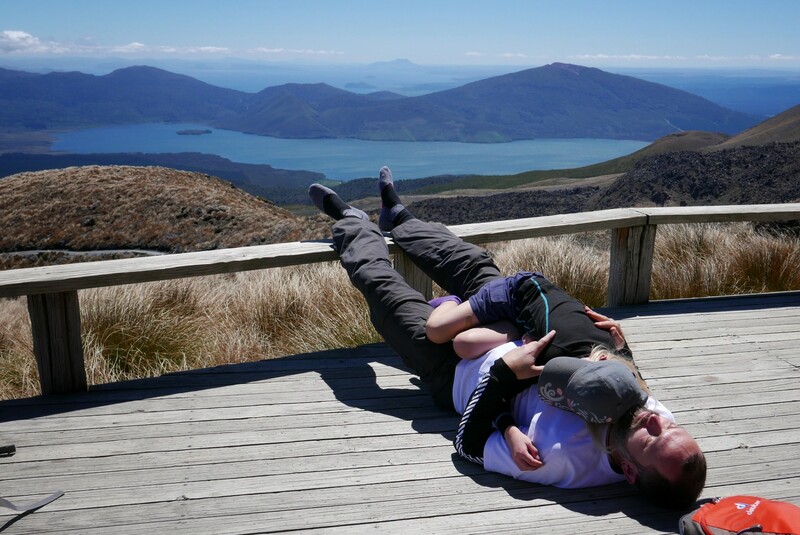 We were tired from the climb and the wind, but also happy, struck by the beauty of the landscape and quite content with our accomplishment that far. 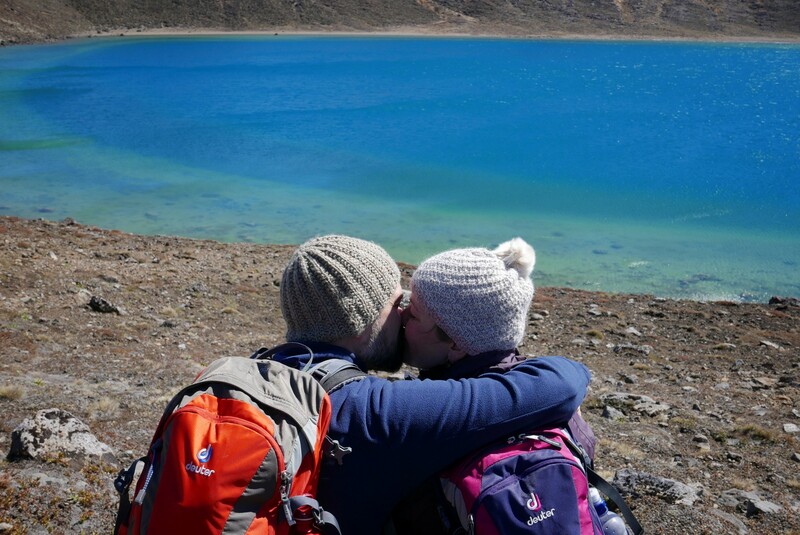 Ronja took a picture of Mads and me by the sacred Blue Lake. 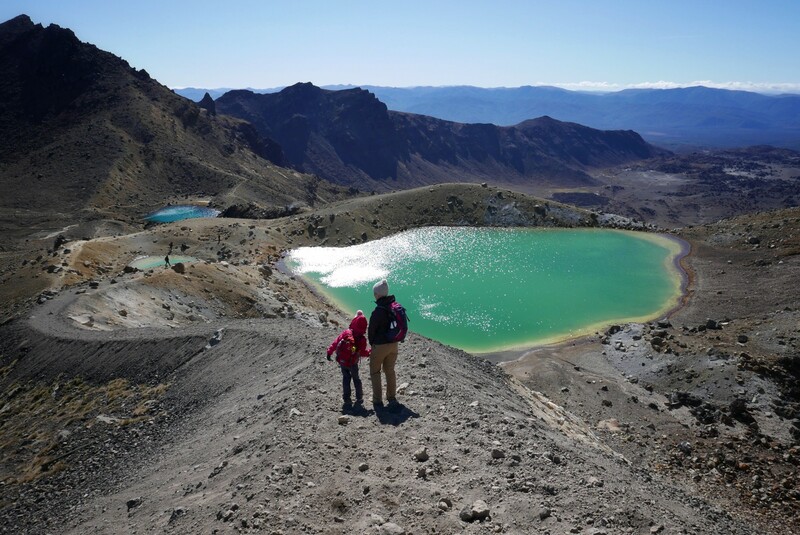 Shortly after the Blue Lake we started zig zagging the long way down to the Ketetahi Hut. 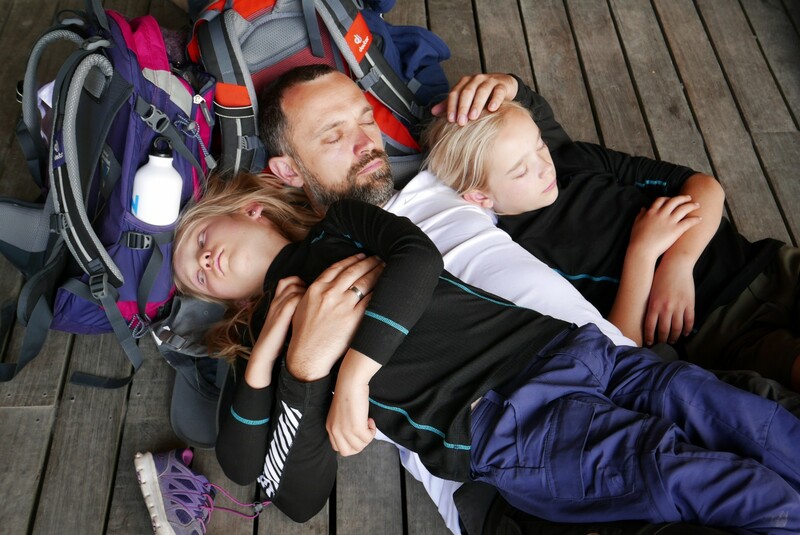 At the Ketetahi Hut, Frida was finding it hard to find new energy. Cuddling up with Mads for a little while with shoes off seemed to do the trick, though. Summing it up, it was amazing. 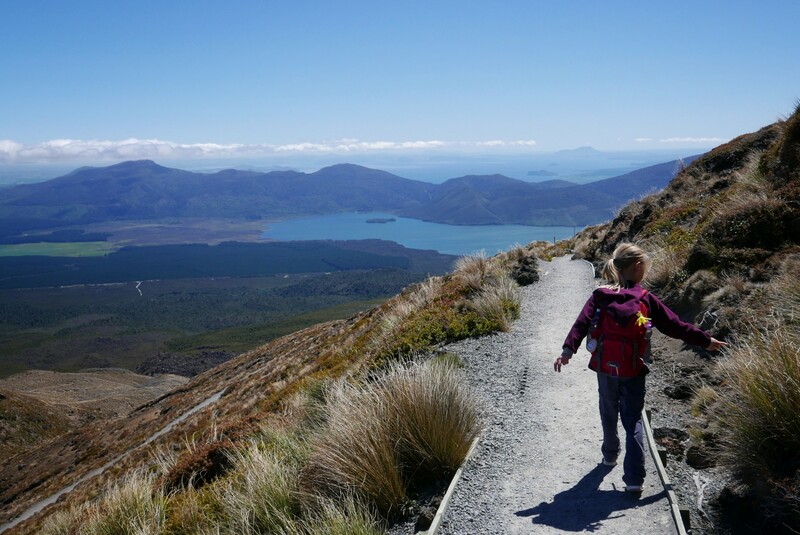 A stunning hike of everchanging scenery, awesome views, fascinating landscape – and a bit of a challenge to a regular office worker like Mads and me. Physically it seemed easier for the kids, and I believe their challenge was more about keeping spirits high when it was rough. 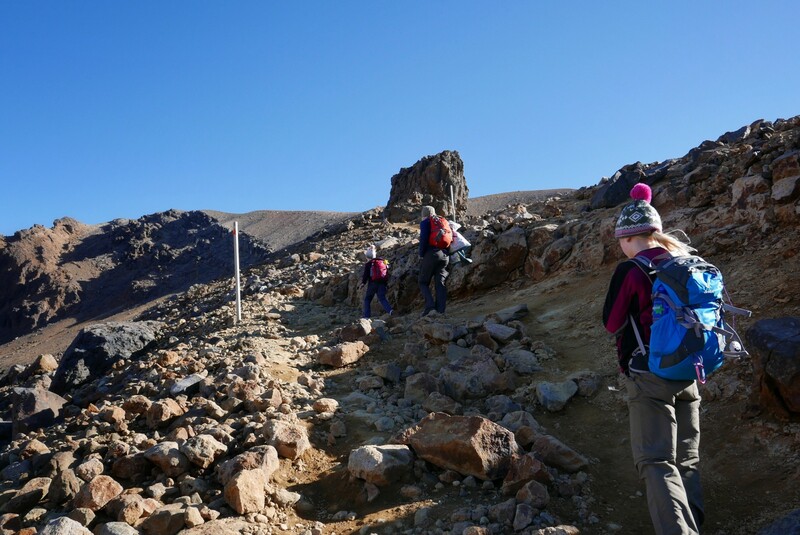 Both of them were soooo cool, though – during those 7 and a half hours of hiking, Frida lost her nerve twice, but quickly worked it back up, and Ronja pretty much just kept walking like a Duracell bunny when she needed to. 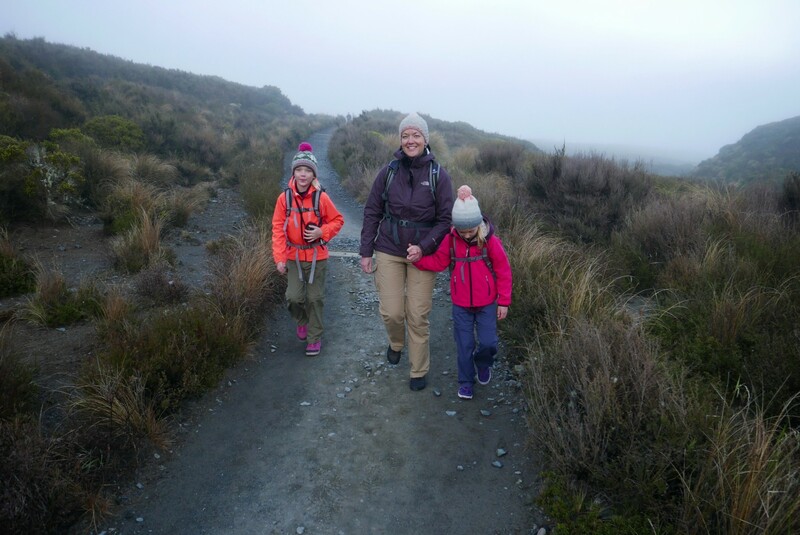 We had a LOT of wind at the highest point of the hike, and Mads and I had a good firm hold of a child each, because they were easily affected by the wind, and the path up there was narrow. 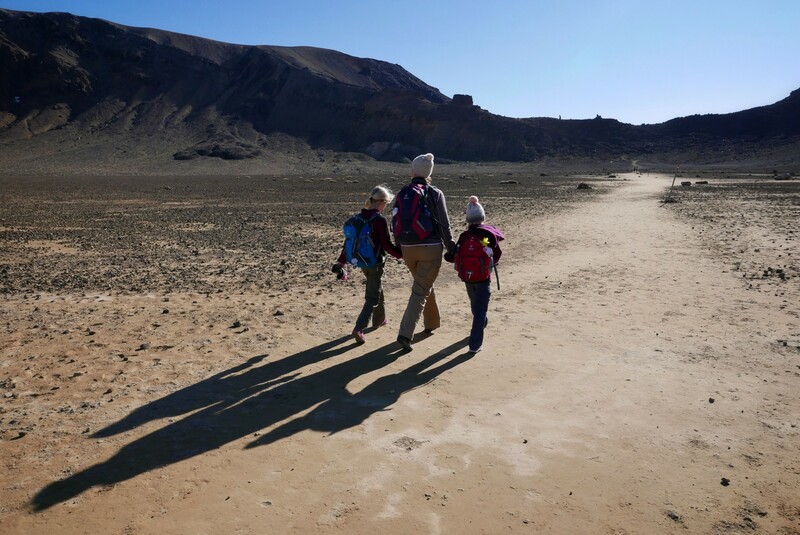 In spite of the fact that quite a few people did the hike that day, we didn’t come across any other children – maybe the reason why those too tough kids had high fives and a ‘well done’ from the bus driver when he saw them at the pickup place at the end of the crossing. 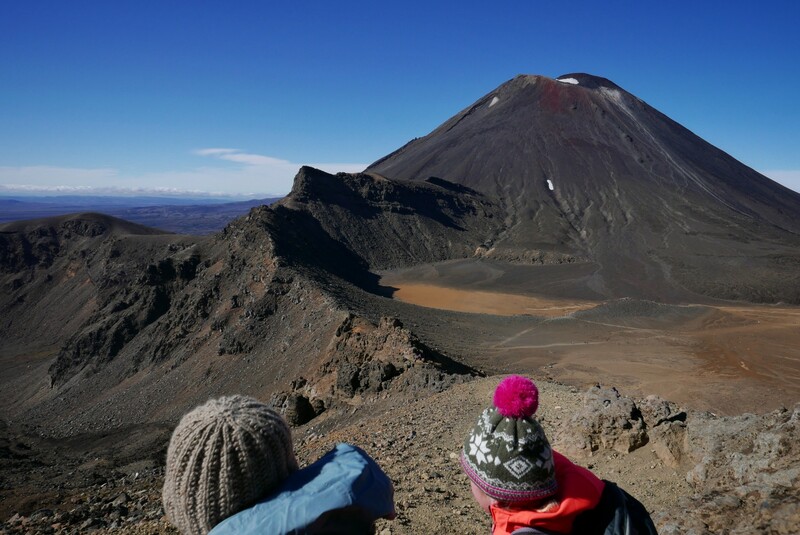 I don’t know much about hikes, but the Tongariro Alpine Crossing was A.M.A.Z.I.N.G – and I am so ridiculously proud of my two tough girls! 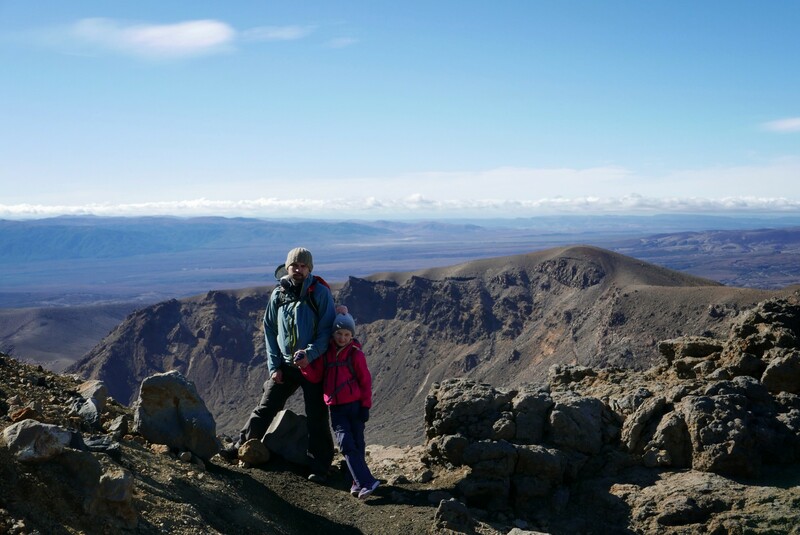 This entry was posted in New Zealand, Travel and tagged Hike, hiking, hiking with children, new zealand, the crossing, tongariro, tongariro alpine crossing, tongariro alpine crossing with children, tongariro national park.